Youssef Delara and Michael D. Olmos directed this drama about an up-and-coming rap artist who is courted by a shady record label. With Gina Rodriguez, Jenni Rivera, and Lou Diamond Phillips. 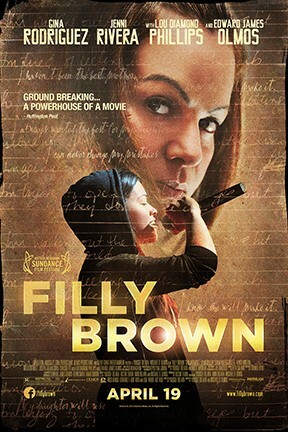 Filly Brown is not showing in any theaters in the area.